A beautiful innocence rings in the heart when the words ‘Play Ball’ rise up on a summer’s eve. Before the first pitch everyone’s slate is clean and the diamond stretches to eternity. 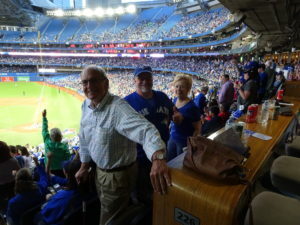 Even in the bleachers of a major league park there is a part of us that is back in the schoolyard of our childhood taking a lead off first and cheering on our chum at the plate. This week I was there in two different stadiums in two different cities watching four different teams. It is wonderful to share such moments and memories with friends new and old. 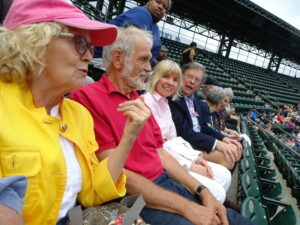 Earlier in the week I was leading a pilgrimage of sacred spaces in Detroit when a group of us spent an evening watching the Tigers, and on Friday, Janet and I took in a Jay’s home game with Norm and Sandra. 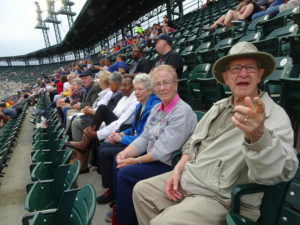 Sometimes I think I catch glimpses of old playground mates in the shadows and hear their voices in the hollers, but sitting in Detroit’s Comerica Park, I was unexpectedly also flooded with memories of all the Tigers games I went to as a boy in the company of my father. 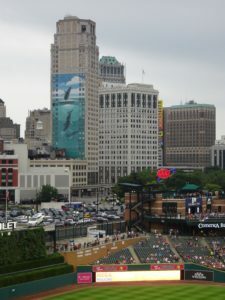 I hadn’t been to a game in Detroit since we had moved away when I was thirteen. Then it dawned on me, dad had crossed the plate safely home six years before to the very day. The diamond really does stretch to eternity. It is almost like church, where I am often aware of the cloud of witnesses watching over us. 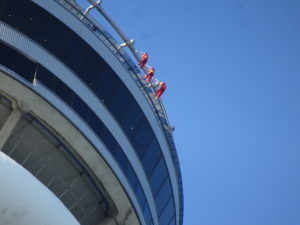 They feel a lot closer than those folk looking down from the top of the CN Tower. In fact I was sure I could hear dad cheering me on from the home team dugout. Thanks Dad. Happy Father’s Day!